The HugglePod HangOut is a perfect way to get kids interested in hammocks, providing them with a comfortable little den in which they can relax and play. The HugglePod HangOut from Hearthstone is sure to please any youngsters who love the feeling of adventure. The HugglePod is great for indoor or outdoor use. 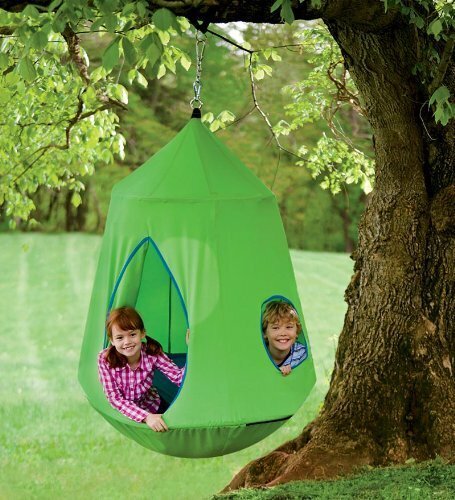 You can hang the Huggle pod from a beam or a tree or it can be used with a large hammock stand. You can even purchase the HugglePod with a 94 inch hammock stand in a combination pack which you can view on visiting the retailer. 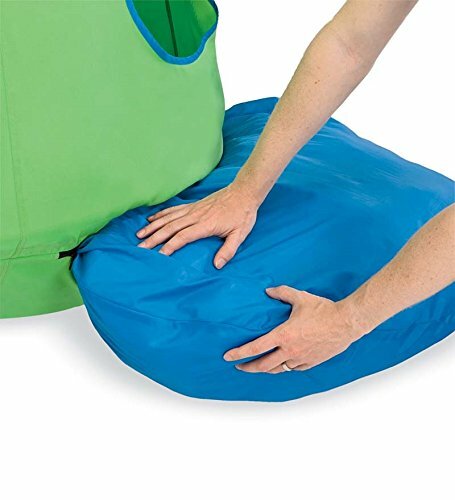 The Hugglepod hangout provides a comfortable experience thanks to the removable cushion that is filled with polyfill made from recycled water bottles. The pod is made from 100% nylon canvas that is designed to be durable and heavy duty. It features a Velcro flap door allowing for easy entry and exit and also has 3 porthole style windows to add to the sense of adventure. 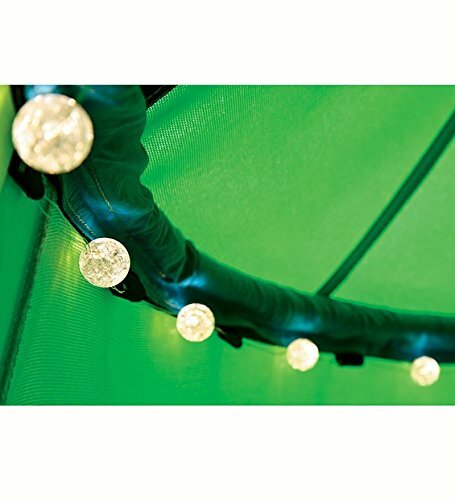 On the upper interior rim of the Hugglepod are a string of battery operated LED lights to add a little ambiance within. The lights require 3 x AA batteries (not included) to operated and can be easily turned on and off via a switch. The HugglePod has a reinforced metal ring attached allowing you to hang it in a range of environments. Unfortunately other hanging hardware is not included, but it can be purchased from a hardware store. The Hearthstone HugglePod is suitable for children aged 4 and over and suitable to withstand weights of up to 250 lbs. 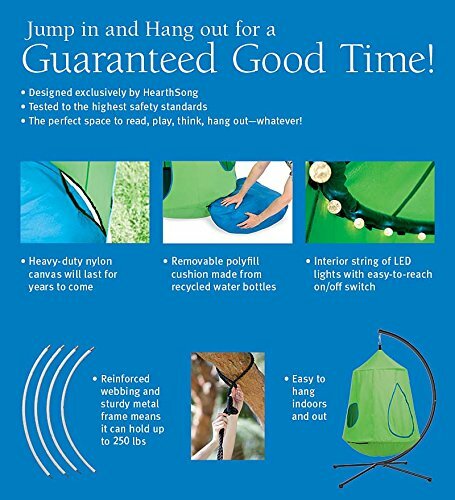 It is also available in Blue or can be bought with a hammock stand included here.